The five people lost all their possessions, including Christmas presents, in the early morning blaze. 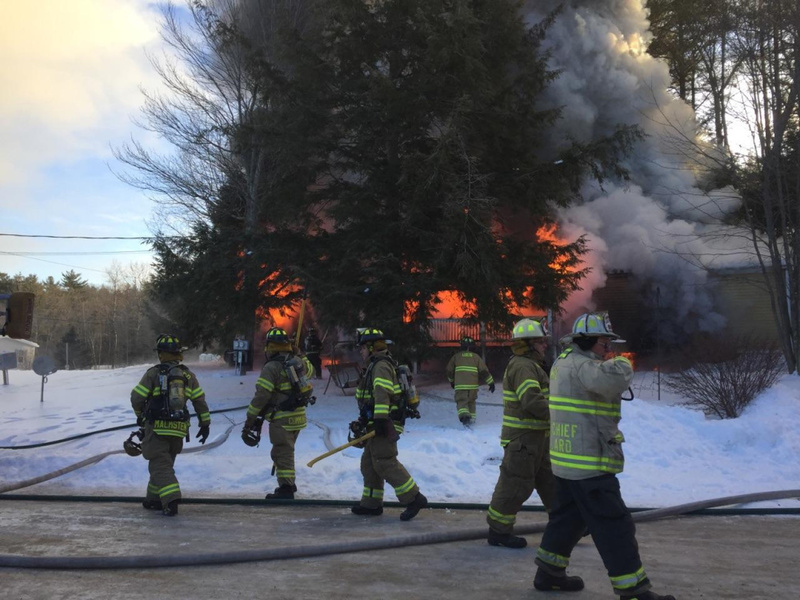 Within hours of a fire’s destruction of a mobile home Tuesday morning at 15 Blue Rock Road in Monmouth, friends and co-workers were trying to raise money for a family of five left homeless and without any Christmas presents less than a week before the holiday. 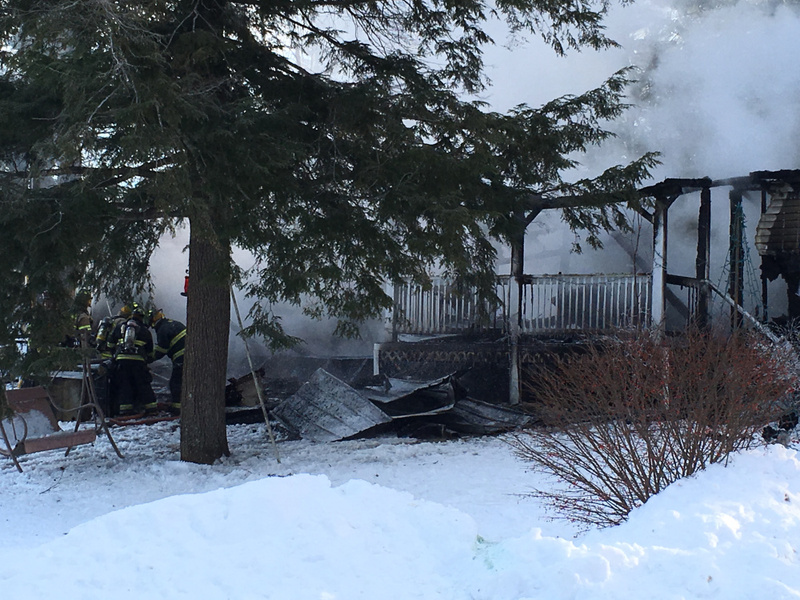 No one was home and no one was hurt fighting the fire, which was called in about 8 a.m. by a neighbor who saw flames under the home, Monmouth Assistant Fire Chief Ed Pollard said. Contributed photo Firefighters work Tuesday at a fire scene at 15 Blue Rock Road in Monmouth, where a mobile home was destroyed. By 9:30 a.m., firefighters had extinguished most of the fire and were sorting through the wreckage, looking for any lingering hot spots, Pollard said. The home was owned by Aaron Chase, an emergency medical technician who was out of town at the time of the fire, Pollard said. Chase, who arrived at the scene later, said he lived there with four other people: his girlfriend and three children. “It’s not a phone call you expect to get,” Chase said of the news that his home was on fire. He said he was feeling shock about the loss. By 11 a.m., however, friends and co-workers had created an online fundraiser on GoFundMe to raise money for Chase and his family, and the Winthrop Ambulance Service had linked to the fundraiser from its Facebook page. The post also listed several sizes of clothing that could be donated to the family and directed inquiries to Deputy Chief Joshua Wheeler, of the Winthrop Ambulance Service, at 377-7220. At the fire scene, Chase said his home was insured and that several people had offered him places to stay. 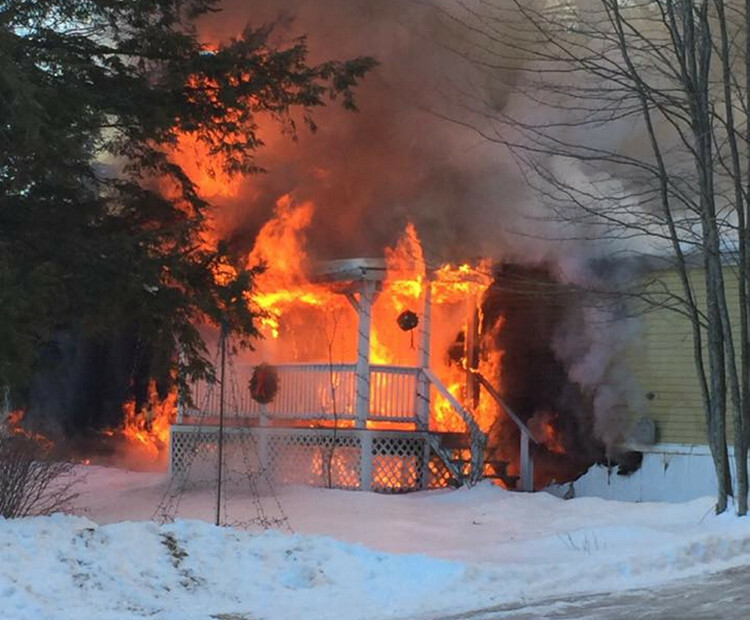 A cat living in the home wasn’t accounted for Tuesday morning, Pollard said. A next-door neighbor, Joan Gray, said she reported the fire after seeing flames coming out of the bottom of the home on its left side. Pollard said he did not know the cause of the fire and that the state fire marshal’s office would be notified, as is standard practice. The temperature was just climbing out of the single digits Tuesday morning in Monmouth. The cold weather did not hinder the response, but it did create several unique challenges for the firefighters. 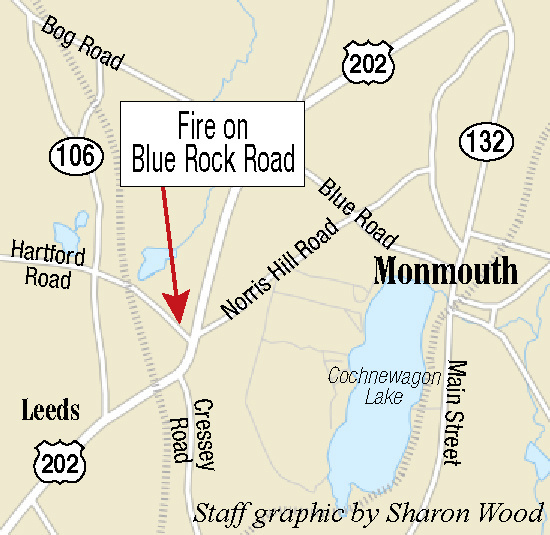 On Tuesday, some of the Monmouth firefighters were working on less than a full night of sleep, as they also had responded to a chimney fire around 11:30 p.m. Monday at 9 Sanborn Road, Chief Dan Roy said. And on Tuesday morning, a Pan Am Railways train derailed in Leeds on Blue Rock Road, the same road where the mobile home caught fire, after striking ice that built up on the track. According to Roy, Leeds firefighters took a different route to the fire, but he didn’t think the new route delayed their response. Firefighters from Monmouth, Winthrop, Leeds, Wales and Greene responded to the fire.